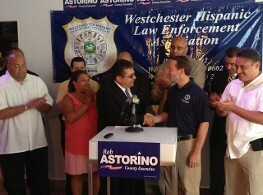 With Congressman Engal, Westchester SOA, Assemblyman Abinanti, Yonkers City Council Pineda, and Senator George Lattimer. Click here for more on endorsement. 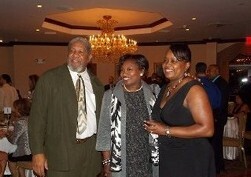 at their 17th Annual Scholarship Dinner Dance Event on October 4th, 2013. 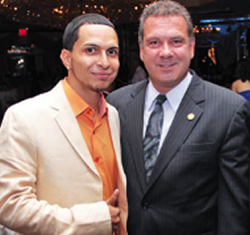 With Yonkers Mayor Michael Spano. Court Justice Mark Dillon. 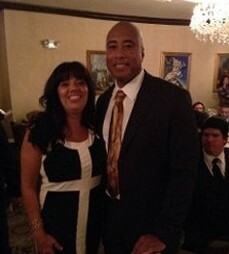 And Finally our very own Princess, Awilda Alvarado with Bernie Williams. W.H.L.E.A. 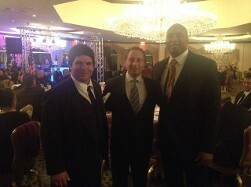 Members at the Westchester County Chiefs of Police Event on March 30th, 2012 at The Beach Point Club in Mamaroneck, New York. 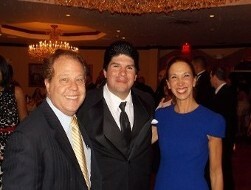 at the Greentree Country Club on March 23rd, 2012. WHLEA attending Fundraiser for Westchester County Court Judge candidate Tom Quiñones, who is currently a Family Court Magistrate in NYC. Whlea President Sgt. 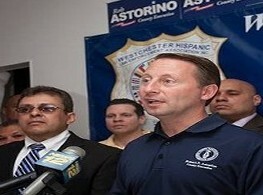 Rodriguez and Westchester County Executive Rob Astorino. 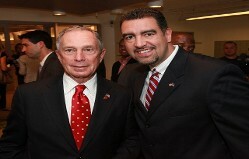 WHLEA Special Advisor Keith Guerra with New York City Mayor Mike Bloomberg at a political event. 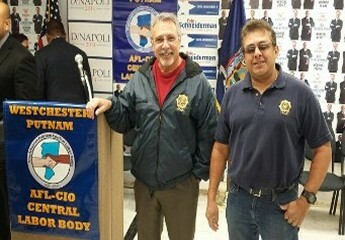 Westchester Republican Chair Doug Colety, Rockland GOP Chair Vinny Reda, Whlea VP Hector Lopez and Westchester County Deputy Chief Counsel Jim Castro-Blanco in Conservative Event in the Bronx. 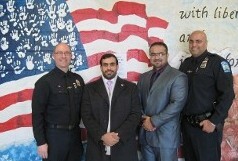 North Castle Det. 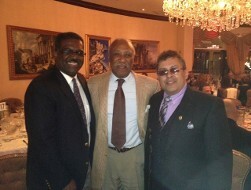 Frank Kolarik and Whlea 1st vp Wesley Mojica (far right) pose with Sheik Abdullah of Bahrain. The Sheik wants to implement the D.A.R.E. Program in his countries schools, and was educated by P.O. Wesley and Det. Kolarik on the D.A.R.E. Program. 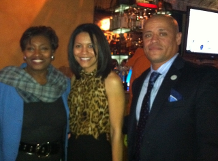 Whlea President Rodriguez, Senator Andrea Stewart-Cousins, and former Mt. 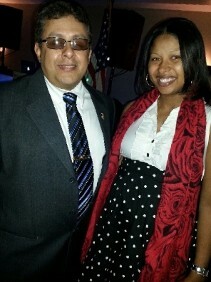 Vernon Mayor Clinton Young. 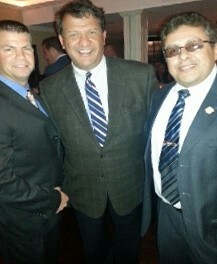 Lou Navarro, Alex Rodriguez and Dutchess County Legislator Ken Roman. 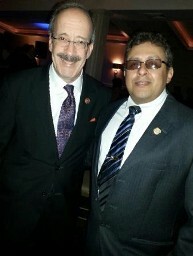 Keith Guerra and Former NYS Governor Paterson. 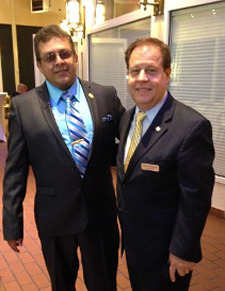 Lee Navarro and Hector Lopez at a event on July 20, 2011 at Guilios in Yonkers. 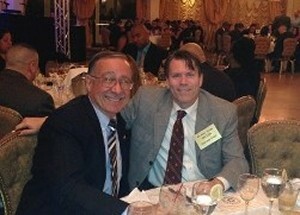 Guest included former State Assemblymen and current Yonkers Mayor, Michael Spano and County Legislator Ken Jenkins.